You’ve invested in the right type of patio furniture, you have done everything you can to make your patio as inviting as possible, but then the bad weather rolls around. What can you do to make sure that you can use your patio during the coming winter months as well? We have a few tips that are not only going to make sure that your patio is usable during these harsher months, but might even make your patio look more stylish as a result. Especially when the colder months roll around, entertaining outdoors can be a bit of a struggle. No one is voluntarily going to stand outside during the cold weather. 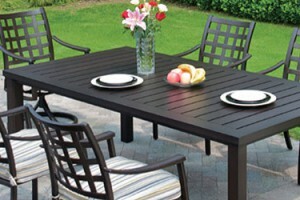 If you add a heater to your patio, it increases the usability of your patio throughout the year. The weather might not be great, but that is why you want something to warm you up. A dedicated place where you can sit with family and friends. An entertainment is automatically going to draw people towards it and you can make it as lavish as you want. Complete your finishing touch by using a quality bar set that matches the design of your interior. A patio enclosure is not only going to offer a sense of privacy (because you want to be able to be yourself in your outdoor area) but it can also protect you from the outdoor elements. You have a wide range of options that range from wooden and glass to aluminum patio enclosures. 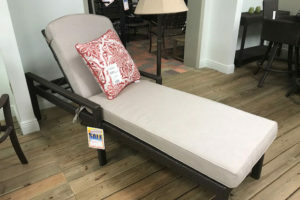 If you already have quality patio furniture, it might be a good idea to find a closure that matches with the style of furniture that you already have. Perhaps you already have a patio roof that is look worse for wear, perhaps you need to find a new one entirely. This is the perfect time to consider upgrading or repairing your patio roof with either permanent or makeshift roofing. If you have a patio that is completely exposed, you might want to look into whether it would be better to extend the roof of your house to cover your patio or if you need a freestanding patio roof. You can make your patio come to life with the right accessories. These are not going to make your patio ready for winter, but they will make sure that the area is attractive enough to want to be there year-round. Options include flowers, candles, lanterns, table ornaments and plush cushions. With the right furniture and a bit of planning, you are able to give yourself the type of outdoor are that you are not only able to use year-round, but you will want to use year-round.